The ‘cold war’ may now be over, but relations between procurement and finance within many organizations remain frosty. This can have many undesirable consequences for sellers, who often find themselves unwittingly caught up in a power-struggle between the two functions. 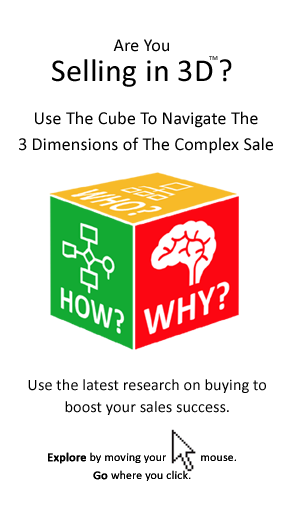 This article provides tips for sellers on how to avoid getting squeezed in the middle. Sellers can often be unaware of the turf war being waged between finance and procurement within many organizations. As the newly-emergent procurement jostles for position, boundary disputes are arising. Procurement in most organizations is, in effect, the ‘new kid on the block’. That’s not to say that it hasn’t been around for many years – it has, but only really in a back-office administrative capacity. This is the golden age of procurement, as a new breed of procurement professionals flex their muscles and transform the function into a vital strategic player. In line with its newly-emerging role, procurement is seeking increasing resources as well as ever greater control. In most organizations, procurement can increasingly be heard bragging about its results and talking up its role. Its increasingly confident swagger is clear for all to see, with procurement heads in many organizations looking for a seat at the board table, or at least laying claim to key aspects of the strategic agenda. Another manager explained: “We run the numbers; when somebody else (in this case, procurement) presents their own set of numbers (detailing savings etc. ), we can obviously be slow to accept them. This is especially the case when they are counting numbers that don’t appear in the P&L”, he added, referring to cost-avoidance figures popular among procurement professionals. In the world of organizational politics and functional silos, the emergence of procurement can result in certain tensions. Perhaps inevitably, some financial managers may feel as if they are losing control over areas they previously controlled. “While procurement is not exactly known for being flexible, finance is even less so”, explained one experienced seller. “That means that going after special payment terms, for instance, can be tantamount to hoping beyond hope”, he added. However, sellers are increasingly discovering that the deal they struck on terms fails to be delivered upon because it has not been endorsed by finance. “If there is going to be a power-struggle between finance and procurement, you want to ensure that you’re on the winning side”, explained another seller. “Nine times out of ten” it is finance that has the last say – after all, they sign the cheques! 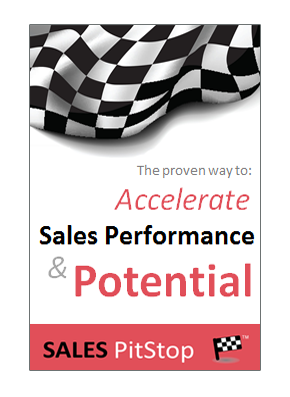 Nevertheless, it is important that the salesperson plays both sides. Make sure the metrics that are being used in respect of the business impact of the purchase (and in your proposal) are those that are being used by finance. Indeed, try to ensure that finance’s fingerprints are all over the business case. 2. Know what the standard terms are, and know the degree of scope/flexibility of finance in respect of the same. Quite simply, if it has never been done before for a supplier, then it won’t be done for you. 3. Make sure the terms are those that finance is likely to agree to, and that any exceptions to normal terms are flagged in advance. 4. Make sure that you understand the relationship between finance and procurement, and where fault lines are most likely to appear. 5. Try to ensure that finance is party to contract negotiations – in particular, to financing, ROI metrics and performance measures. 6. Make sure the proposition and business case address the strategic agenda of the CFO. After all, if the head of finance is happy, then anything is possible. 7. Talk to other suppliers to understand payment terms and how closely they are adhered to. Is the customer under cash-flow pressure? Is 30 days likely to really be 45 (or even 65) days? 8. Involve both procurement and finance in your own organization – in terms of input to both the proposal/tender and the overall sales process.